Having experienced severe sciatica and extreme muscle tension in my shoulders for a number of years, I was having trouble finding treatment that really helped. Having met Dr. Stern at a networking meeting, I thought I would try yet another option for treatment. However, this time I’d actually found more than a temporary “fix.” Relief was immediate — and longer lasting than I’d ever experienced. In addition to Dr. Stern’s adjustments and some suggestions for exercises I could do on my own, the deep tissue and trigger point treatments provided with the therapeutic massages provided by Eugene, Dr. Stern’s massage therapist, really made the adjustments seem to last even longer. Adding a regimen of specially formulated vitamins Dr. Stern provided, combined with all these, I actually felt like I also gained more energy. Dr. Stern has always been very professional and I am continually impressed by his incredible knowledge base and his eagerness to accommodate schedules. I’m in a transitional phase of my professional life at the moment but am anxious to identify a window of time during which I can get an appointment. 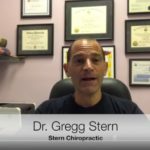 When my husband injured his back and was nearly immobile, I took him to Dr. Stern; he too found immediate relief that lasted longer than any other treatments he’s had. 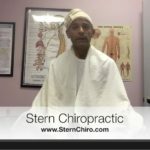 I’d always been skeptical of chiropractic care; after my experiences, I would urge anyone with any pain or discomfort to have it evaluated at Dr. Stern’s office. He and his staff are fabulous! 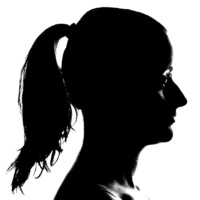 There is a FABULOUS chiropractor in Buffalo Grove who, I believe, could really help you. 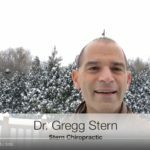 His name is Dr. Gregg Stern with Stern Chiropractic, located at Route 83 and Lake Cook Road in Buffalo Grove. He can be reached at 847-537-2225 or www.sternchiro.com. He has “saved” my husband, my daughter AND me innumerable times. Especially when I’ve experienced a lot of stress, he’s been fabulous! My husband could barely walk, due to back pain, and he got him up and going, too. I guarantee he’ll be worth whatever distance you have to go! (He also does acupressure and acupuncture, and has a fabulous massage therapist onsite as well.) Good luck!